Our research explores how children with Down syndrome develop and learn, and identifies more effective teaching approaches and therapies. We have a unique focus and a successful 30-year track record in delivering research that today is improving educational outcomes for many thousands of young people with Down syndrome around the world. 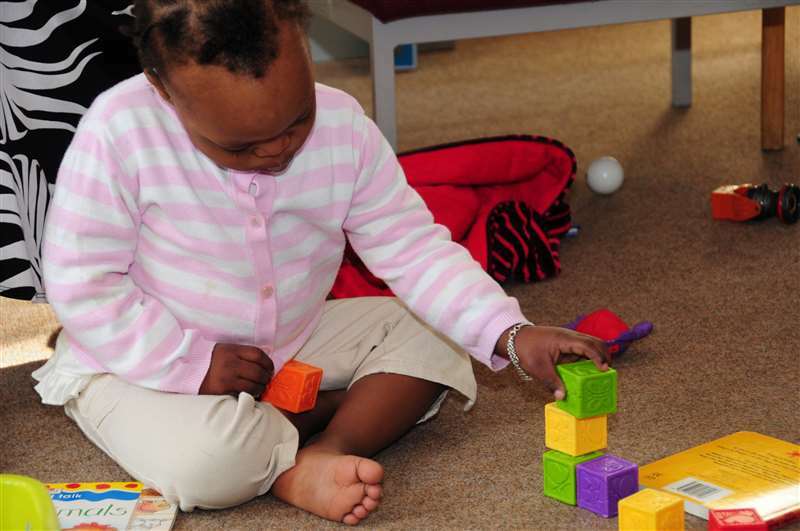 Over the past 30 years, our studies have delivered important insights into speech and language, memory, reading, number and mathematics, social skills, education, sleep and behaviour for children with Down syndrome. Our research has repeatedly demonstrated the potential of children with Down syndrome to learn more when given the opportunity and appropriate support. We ensure that our research delivers benefits for people with Down syndrome living today by identifying and evaluating evidence-based interventions, and by disseminating our findings to families and professionals worldwide. The 2018 Down Syndrome Research Forum will be held at the University of Reading on 17 and 18 September. Our #Education21 campaign highlights how educational research is helping us to better understand the needs of young people with Down syndrome and how it is improving outcomes for many thousands of children today. For over 30 years our work has delivered key advances in our understanding of the reading, language, speech and memory difficulties experienced by children with Down syndrome, and pioneered techniques that improve development and levels of educational achievement. In the early 1980s, our research team was the first to identify that young children with Down syndrome could learn to read and could learn to read surprisingly well at an early age. Since then, we have sponsored and undertaken research in many areas of development for young people with Down syndrome, including speech and language, memory, reading, number and mathematics, social skills, education, sleep and behaviour. Our research, resources and services have played a significant role in improving education for children with Down syndrome. Only 30 year ago, it was widely thought that young people with Down syndrome could not learn to read. Today, some 10%-20% of children with Down syndrome in mainstream primary schools are reading as well as their typical classmates. "The charity has had a profound impact on the Down syndrome research and practice community for the past three decades. It combines a scientifically grounded approach to educating individuals with Down syndrome with a passion for improving the life of each child ." (Professor Deborah Fidler, Colorado State University, USA). We focus on practical scientific studies of young people with Down syndrome that identify their precise learning difficulties and that evaluate teaching approaches and therapies designed to meet their particular needs. We take a 'real world' view of development, studying learning for young people with Down syndrome in everyday family life and in school. Many things influence development, including our genes, our families and communities, and the opportunities that we are offered. Our research examines all of these factors in the context of the complex and cumulative processes of human development. We have recently completed two of the first randomised controlled trials of targeted interventions for children with Down syndrome. The first of these trials found that carefully structured daily reading and language teaching can improve reading and language development for primary schoolchildren with Down syndrome. We are now publishing a handbook and supplementary resources to support use of the intervention in schools worldwide. The second recent randomised controlled trial evaluated computer-based adaptive memory training program with children with Down syndrome. Other recent or ongoing research includes studies of early language development, the emergence of of autism and autism-like behaviours in young children with Down syndrome, improving early problem solving skills, teaching early phonics skills, early number teaching approaches, and attention skills. Buckley, S. & Bird, G. (2002). Cognitive development and education: Perspectives on Down syndrome from a twenty-year research programme. In M.Cuskelly, A. Jobling, & S. Buckley (Eds. ), Down syndrome across the life span (pp. 66-80). London: Whurr. Buckley, S. (2003). Literacy and Language. In Rondal, J. & Buckley, S. J. (Eds) Speech and Language Intervention in Down syndrome. (pp. 132-153). London: Whurr. Buckley, S. J. & Johnson-Glenberg, M.C. (2008) Increasing literacy learning in Down syndrome and Fragile X syndrome. In J. E. Roberts, R.S. Chapman & S.F. Warren (Eds.) Speech and Language Development and Intervention in Down Syndrome and Fragile X Syndrome. (pp 233-254). Baltimore: Paul H. Brookes. Buckley, S.J. (2008). The development of babies with Down syndrome. In S J Skallerup (Ed.) Babies with Down syndrome. (pp 169-198). 3rd Edition. Bethesda: Woodbine House. Buckley, S. (2010) Health research, the needs of persons with Down syndrome and their families. In: R Urbano (Ed.) International Review of Research in Mental Retardation. Pp 295- 306. Academic Press. Burgoyne, K., Baxter, R. & Buckley, S. (2014). Supporting the literacy skills of children with Down syndrome. Chapter in R. Faragher and B. Clarke (Eds. ), Educating Learners with Down Syndrome. pp 195-220. Oxford: Routledge Education. Stojanovik, V,. Mason-Apps, E., Houston-Price, C. & Buckley, S. (2017) Longitudinal predictors of early language in infants with Down syndrome: a preliminary study (in review).